Thinking about searching eBay for bargain gifts? Or maybe you have items you no longer need and want to sell? Fall River Public Library, 104 North Main Street, will offer a free workshop, Getting Started with eBay, on Tuesday, December 18 at 2 p.m. and Thursday, December 20 at 6 p.m. This online selling platform can be a great resource for both buyers and sellers, where you can find everything from collectible toys to car parts to computers. Rather than scouring flea markets and secondhand stores for collectables, buyers can search online to quickly find exactly what they need, and compare prices from different sellers. Sellers can find a home for products they no longer need that may be sitting at home unused. Instead of the work and mess of hosting a yard sale, eBay lets sellers reach hundreds of shoppers with one listing. In this class, they will go over the basics of how to get started using eBay, from how to set up an account and link your banking information to search strategies, uploading photos, understanding commissions and payments, the difference between bidding and “buy it now” listings, and how to be a savvy buyer. Issues of safety and online security will also be discussed. This class is offered at two different times. Choose an afternoon or evening class—whichever works for you. You can bring your own computer if you’d like, or use a library computer, or just watch the presentation. If you want to set up your own eBay account during the class, you should have a current email address and a PayPal account. If you would like one-on-one help after the class, you can make an appointment to get personalized tech help. 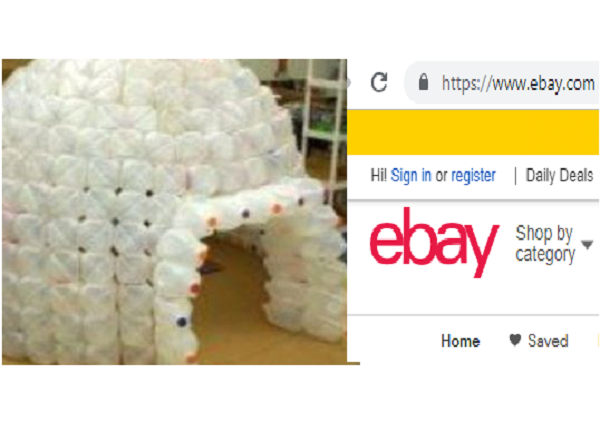 The Library is also looking for donations of gallon water bottles to use in building a life-size igloo for their children’s room! Clean, empty gallon jugs can be dropped off at the children’s room any time from now through mid-January, 2019. Staff will construct an indoor igloo made entirely out of repurposed water bottles. For sanitary reasons, they can only accept donations of water bottles, not those that previously contained milk or juice. For more information or to register for the class, call the library at 508-324-2700, ext. 2.